Thank you! I'll be in touch with you shortly. If you need immediate assisntance, please call or text me at 425.213.3548. Thank you! I will follow up shortly with your no obligation home value report. Please call me at 425.213.3548 if you need immediate assistance. Making real estate dreams come true since 2015. Since launching my real estate career in 2015, I've been fortunate to have worked with dozens of buyers and sellers looking to achieve their real estate goals. I believe in hard work, instilled in me through my wonderful parents and lifelong lessons gained through 6 years of service in the National Guard. I've adopted the practice of touring all of the homes in the areas I work, providing me with current knowledge of the inventory and real time sales data. My partnership with Dan and Sean allows us to leverage our collective experience (over 30 years!) and skill sets to better serve our clients. In today's fast paced and competitive real estate market, our clients are well-served by our team-based approach to buying and selling a home. You can trust us to provide top-notch service and expertise when navigating what will likely be one of the largest financial decisions you will make. 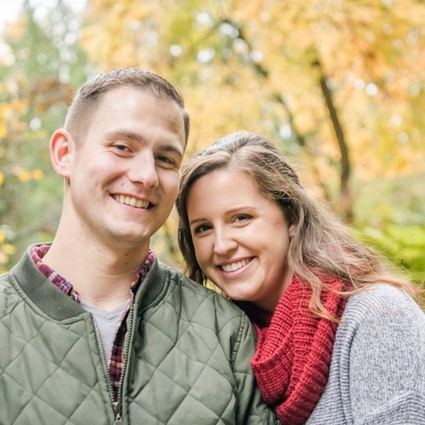 Snohomish County born-and-raised, my fiancée Liz and I are looking forward to establishing our own family here. When I'm not helping buyers and sellers navigate the local real estate market, you can find us exploring local dog parks with our two dachshunds or playing at my family's home on Camano Island. Come football season, you can hear us cheering loud and proud for our Washington State Cougars (Class of 2015! ), providing a friendly inter-office rivalry with my partners Dan (a devout Husky) and Sean (a half-hearted Sun Devil). I look forward to the opportunity to earn your real estate business.